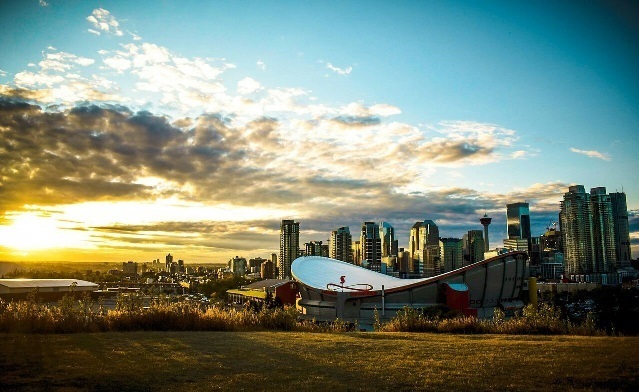 Come and experience Calgary's Western hospitality and be Branded in Christ! Join League sisters and guests in Calgary for the 99th Annual National Convention of The Catholic Women's League of Canada. Spend an afternoon travelling amongst the vibrant city on the bus tour, a morning eating a pancake breakfast in Heritage Park or tour the famous National Music Centre, and possibly discover a hidden musical talent within you! Be sure to pack your western outfit, boots and a cowboy hat for the Western Shindig. Those not ready to head home after the Gala Banquet and closing Eucharistic celebration are encouraged to take a tour of the Badlands of Alberta or venture into Banff National Park. Experience the splendor Alberta has to offer as we continue to count down to the centenary of The Catholic Women’s League of Canada. Transportation: Attendees are responsible for their own transportation to the Hyatt Regency. Calgary International Airport has a shuttle available that runs from the airport to the Hyatt and back at a rate of $15.00/$10.00. Please see here for more details. Air Travel: If travelling by air, consider WestJet. Receive 10% off all fare classes (basic excluded). Travel dates from August 8-26, 2019. Promotion Code: 3M7S5V1. Please make cheques payable to The Catholic Women's League of Canada. Questions? Please feel free to e-mail the convention committee. Please indicate you are with the CWL Convention.